​Founded at Miami University in 1984, Eta Epsilon has reached their 33rd anniversary on campus! 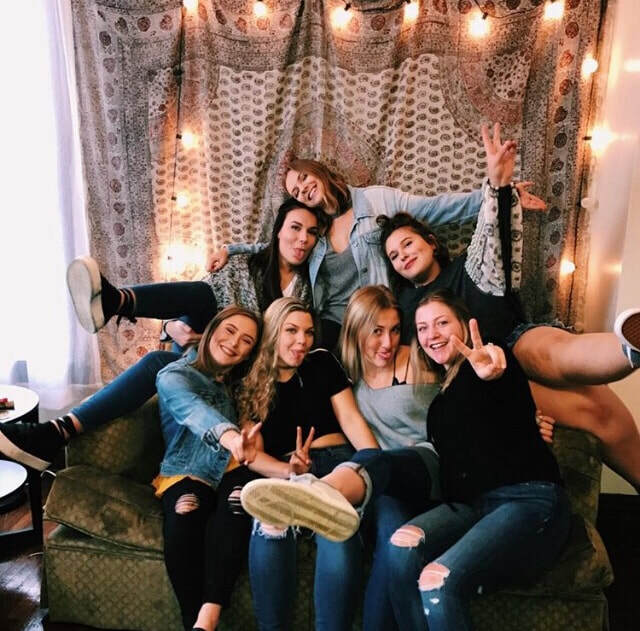 This group of over 160 women hold both the principles of Alpha Delta Pi, and the pillars of the Cliff Alexander Office of Greek Life to their highest standards. We are proud to have been presented with various awards from our Panhellenic Association, including Chapter of the Year. ​The Golden Lion is the most coveted of all awards distributed during our Grand Convention. This award indicates the highest level of performance and efficiency for collegiate chapters of Alpha Delta Pi. We are honored to have received this award six times! As one of the top Greek-communities in the nation, Eta Epsilon is proud to be apart of Miami University's amazing Greek life!